Will Warner Be Back in 2010? 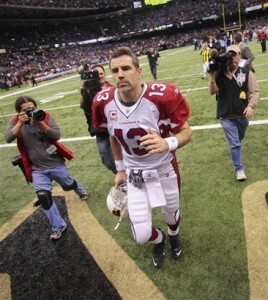 Now that the Cardinals season is over, the big question will be the future of Hall of Fame quarterback Kurt Warner, and if he will be back or not for the 2010 season. At 38-years old, Warner played as well or better than most quarterbacks 15 years younger than him. 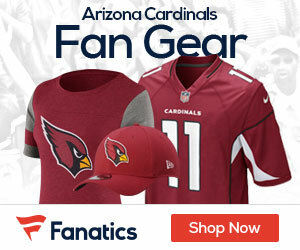 For now, he has one year, worth $11.5 million, left on the two-year contract he signed last offseason. When it comes to coming back in 2010, it’s going to be a answer that Warner says he’ll have sooner rather than later. For now, he said he and his wife planned to get away for a bit, but his decision won’t be drawn-out, like that of a fellow NFC quarterback that is still playing.